I have never met a girl who didn’t want a peony in her bridal bouquet. Peonies are the reason people get married in the months of May and June. 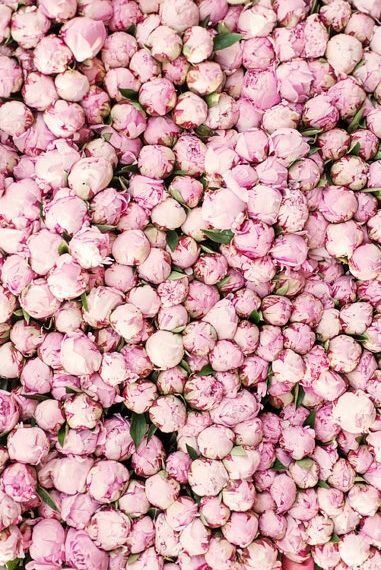 Peonies might be the reason people get married, period. The peony is the queen of all the flowers. But aside from its fluffy petals and brilliant aroma, what do we know about it? Don’t you want to know more? Aren’t you dying to meet its parents? I thought so. Peony, or Paeony is a flowering plant in the genus Paeonia. It is native to Asia, Europe and Western North America. We LIVE in Western North America, so get down on your knees right now and thank the Lord for making this a place where you can grow a peony in your yard. Peonies bloom late spring to early summer and break the hearts of every bride for the rest of the year. There are currently 33 known species of this glorious flower. When I die I want my grave to be adorned with one stem of each species. I will try to die in the spring. The peony is named after Paeon who was a student of Asclepius, the Greek god of medicine and healing. One day Asclepius got jealous of Paeon, I’m guess he was super hot or something. So envious was he, that he wanted to kill poor Paeon. Luckily Zeus had his back. To save his life, Zeus turned him into an effing PEONY. If you didn’t love peonies before, you do now, because that is badass. If Zeus isn’t convincing enough for you, maybe you’ll listen to Confucius. That guy was super wise. Ancient Chinese texts mention the use of peonies to flavor food. Confucius said, “I eat nothing without its sauce. I enjoy it very much, because of its flavor.” Confucius is to peony as hipster is to Siracha. While I don’t recommend chowing down on a peony without doing further research, I think we can all agree it is the best flower. If you'd like to lose your mind over some artwork, I'd suggest checking out this website.